In the scorching summer of 1976—the hottest since records began—Christopher Norton, his wife Laura and their young daughter Faye settle into their new home in north London. The faded glory of the Victorian house is the perfect place for Norton, a composer of film soundtracks, to build a recording studio of his own. Maybe you haven't heard of it—maybe you weren't born yet; maybe you're based elsewhere—but in Great Britain, the summer of 1976 went down in history. It was the hottest single season since records began some 400 years ago, and people in these parts weren't prepared. There were droughts. Deaths. It was an indescribably violent time, all told. Hate crimes were a daily affair many commentators attributed to the incredible temperatures. "What a world to bring a child into," (p.1) as our couple comments on the first page of F. R. Tallis' haunting new novel. But that's exactly what Christopher and Laura Norton plan to do. Indeed, on the day they decide to spend their once-substantial savings on "a substantial Victorian edifice [...] concealed in a pocket of London's complex topography," (pp.1-2) their infant daughter is born. They name her Faye, meaning belief—which, though they have in her, they lack, alas, in one another. 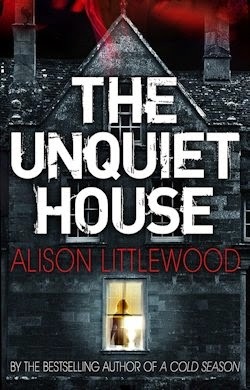 A year later, the Nortons have settled into their new property nicely, but things between Faye's parents have gone to pot in short order, and a terror more malignant than the recent uptick in temperature is about to make its malevolent presence felt. After The Sleep Room's success, it's a smart move on Tallis' part to focus in his new novel on another pseudo-scientific subject—in this instance Electronic Voice Phenomena. 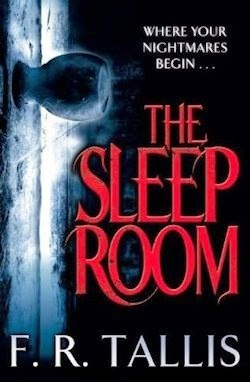 "It seemed a ludicrous idea, the dead communicating with the living through the medium of magnetic tape, but at the same time Christopher's mind was not entirely closed to extraordinary possibilities." 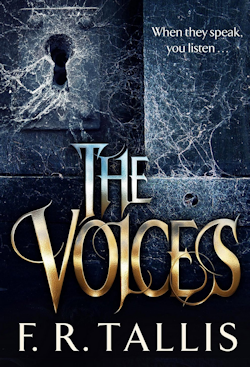 (p.83) As an explanation for the voices he's been hearing recently—voices accidentally recorded in the course of composing the score for a forthcoming science fiction film—EVP isn't ideal, but it's the best of a bad lot... and rather that than face the fact that he might be losing his mind. The more Christopher reads about EVP, the more convinced he becomes that there could be an opportunity here. In the midst of a mid-life crisis, he worries that he has wasted his substantial talents working for the highest bidder. Selling out, essentially; thus the idea of reclaiming his reputation—by composing a piece of serious music incorporating the aforementioned voices from beyond—is appealing. As insightful as it is exciting, The Voices is very impressive. That said, there are a number of problems with the novel. The acceleration of the pace is interrupted at one point by a trip to Paris that hardly factors into the fiction. Similarly, certain elements of the setting seem superficial. Ghost story devotees will recall that the scorching summer of 1976 also provided the backdrop for The Year of the Ladybird—a comparison which doesn't do The Voices any favours, I'm afraid. Graham Joyce weaved the heat wave into the fabric of his narrative, whereas here it feels nearly needless. These drawbacks do detract from The Voices' overall impact, yet Tallis' text still stands apart, in large part because of its author's determination to show both sides of the story. 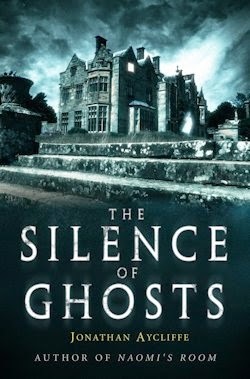 This twofold focus allows him to develop his excellent central characters independently, making The Voices much more than another haunted house novel. Call it horror if you want, but do so knowing that its portrayal of a relationship on the rocks is at least as potent as its very vocal ghosts.